PHOTOKINA 2010, COLOGNE, GERMANY, September 21, 2010 — FUJIFILM Corporation is pleased to announce the new FinePix X100, a high-grade digital compact camera featuring an APS-C CMOS sensor, a Fujinon 23mm fixed focal length lens and a newly developed Hybrid Viewfinder, due for commercial release in early 2011. The FinePix X100 is aimed at the professional photographer or keen enthusiast looking for exceptional quality pictures from a compact camera. It is designed to appeal to the millions of DSLR users who need a slim back-up camera for high quality in-fill shots when the use of a bigger SLR system is either inconvenient or impractical. Or, of course, it can be used as a professional’s only top-end camera, if size and versatility are the primary considerations. Fujifilm has closely studied the current line-up of professional cameras and feels that there is a strong need for a compact high-quality (APS-C based) camera as a counterpoint to an SLR. Using the experience of working with generations of photographers using famous emulsions like Velvia, Provia, Astia etc., Fujifilm engineers distilled this knowledge into months of careful study to create the perfect compact-sized professional camera. The priority for this model is picture quality, so it was decided to make the highest quality possible lens and sensor combination, built from the ground-up. The lens chosen is a fixed, prime F2 lens, made by Fujinon, manufactured to perfectly match the APS-C custom sensor. Added to this is the newly-developed EXR Processor, which combines all the latest image processing technology Fujifilm has built up over the years. Other cameras on the market look to fill the need for the ultimate ‘compact’ professional camera, but the Fujifilm development team believe that, having listened to the marketplace, the FinePix X100 offers a number of technical developments that will set this camera apart from other contenders. Having shot an entire trip to Paris with a single 28mm F1.4 lens, I think traveling with a 23mm F2 would be fantastic. Unfortunately, it's a 35mm equivalent, which isn't as wide as I'd like. That said, Fujifilm designed for shooting at F2, with a 9 blade aperture for creamy bokeh, and a built in 3-stop neutral density (ND) filter to let you keep the aperture wide open. I tried to write the title of this Using the voice recognition on the Deoid X but it didn,'t go very well. I tries the voice recognition. Wcause because the virtual keyboard ia pretty a.nohing annoying too. 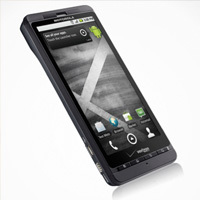 I gave the HTC Aria with Android 2.1 an honest try, using it exclusively for about a week. Then it sat on my desk another week, while I tried to use it for tasks when I had the time to think about them. Now it's going back to the shop. Seems to me the disconnect between the glossy home screen (yay, it's like an iPhone!) and underlying OS (this seems like it needs a command line...) creates a cognitive load too large for comfortable everyday use. Plus, everything induces anxiety. Configure email using the setup wizard, and nothing shows up. Turns out that's the other email app. Try to install CNN from the app store, it says it wants my number and can make charge calls, and btw, is not affiliated with CNN. I feel like I just don't have the time. Yes it is, no it isn't: a roundup on the iPhone 4 signal "issue"
At this point, there's no longer any question in our minds that the iPhone 4's antenna can be made to lose signal by holding it "wrong" -- and we definitely think it's more than a little silly that simply holding the phone in your left hand has been nicknamed the "death grip." That said, however, it's not at all clear what the real-world effects of the antenna issue actually are for most people -- as we've repeatedly said, several iPhone 4s owned by the Engadget staff (including our review unit) have never experienced so much as a single dropped call, while others suffer from signal issues that results in lost calls and unresponsive data in a dramatic way. What's more, at this point Apple's sold well over two million iPhone 4s, and we simply haven't heard the sort of outcry from users that we'd normally hear if a product this high-profile and this popular had a showstopping defect. Honestly, it's puzzling -- we know that the phone has an antenna-related problem, but we're simply not able to say what that issue actually means for everyday users.